Location: From the intersection of County Hwy G and Hwy 45 north of Eagle River, continue north on Hwy 45 approximately 5 miles to Ski Hill Road. Turn east on Ski Hill Road and continue about .25 miles to the parking area. From the intersection of County Hwy K and Hwy 45 in Conover, continue south on Hwy 45 about 4 miles to Ski Hill Road. Turn east on Ski Hill Road and continue about .25 miles to parking area. As part of the Vilas County Forest Hunter/Hiking Trail System, this trail is mowed on a three-year rotation to maintain access and improve wildlife habitat. Gently undulating terrain is featured on this trail system which meanders through stands of aspen, pine, oak, and hardwoods. The first .25 miles of the Ski Hill Road is a Town of Conover Road and is plowed during the winter season, making the system accessible for winter enjoyment. 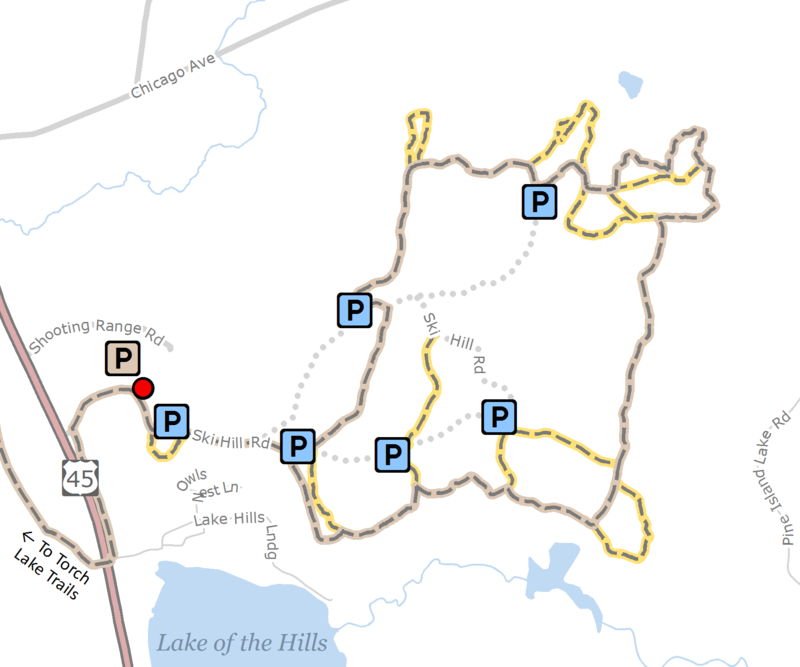 A portion of this trail along with connecting corridors to Torch Lake Trails and Pioneer Creek Cross-country Ski Trails, has created almost 20 miles of signed equestrian trails. Additional trail enhancements are planned.